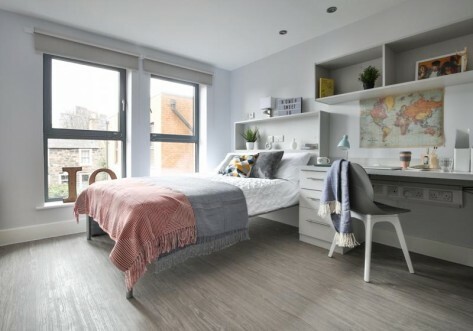 A variety of room choices in a great city centre location, close to the University of Edinburgh. Portsburgh Court is also a great base for exploring some of Edinburgh's popular areas such as the Royal Mile. 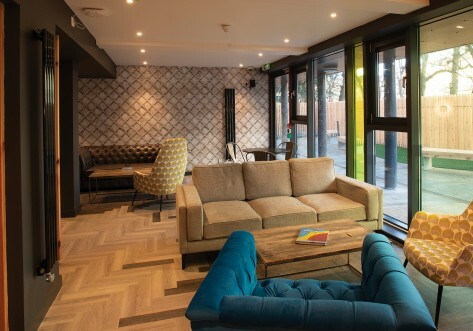 You're not short of choice for restaurants and bars and you'll find plenty of shops and banks within walking distance. 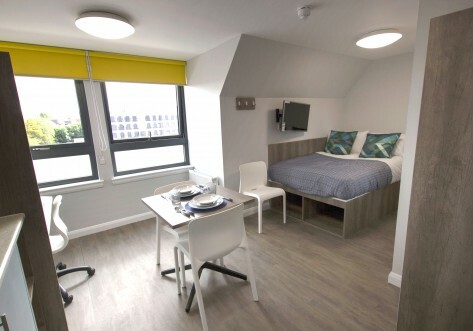 Larger ensuite room with 3/4 bed with underbed storage, communal kitchen and living space. Wardrobe and chest of drawers, desk and chair with full length mirror. Self-contained studio bedroom with 3/4 bed, ensuite bathroom and fully equipped kitchen with combi-oven, kettle and toaster. Desk, chair, wardrobe and full length mirror included in room. Self-contained spacious studio bedroom with 3/4 bed, ensuite bathroom and fully equipped kitchen with combi-oven, kettle and toaster. Desk, chair, wardrobe and full length mirror included in room. 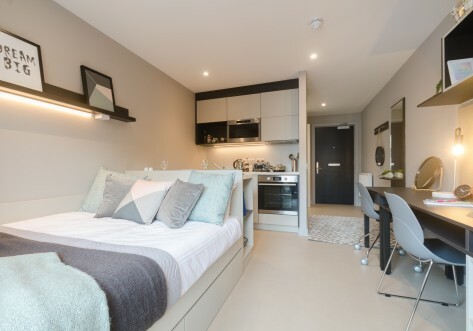 Self-contained extra large studio bedroom with 3/4 bed, ensuite bathroom and fully equipped kitchen with combi-oven, washing machine, kettle and toaster. Desk, chair, wardrobe and full length mirror included in room.